Combiplay Volvo 444 / 544 toy car. I bought this neat old toy from a seller in Portugal, although the car itself hails from Volvo's homeland, namely Sweden of course. 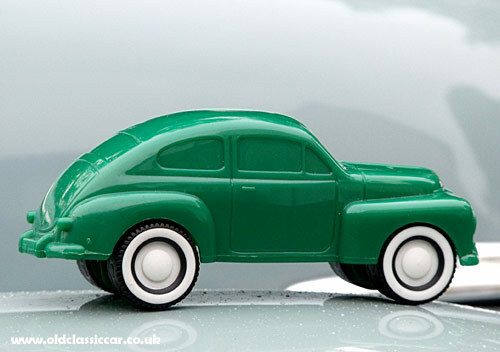 Produced by Combiplay, the car on its base is identified as a Volvo PV 444, based on a late example as it shares certain similarities with the later 544 also. The split windscreen is a feature of all 444s, and this style of grille was fitted to late examples of the 444. The one-piece rear screen is the enlarged type, found on late 444s and also the PV544; the early 444's had a split arrangement. This green Combiplay toy is in very tidy condition, it measures just over five inches in length. 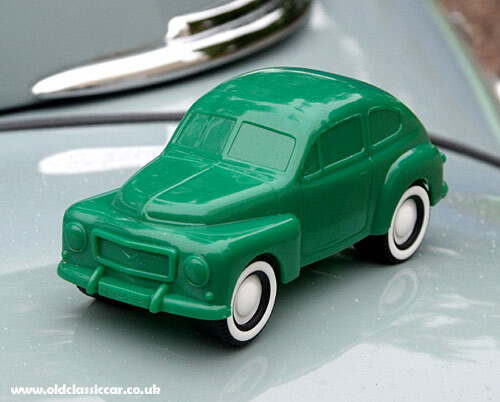 Its plastic construction is very similar to the Galanite Volvo 120 that features in this section. Unusually, the axles are mounted in a vertical slot set into the base of the car. This allows the ride height to be altered, the model is shown with the suspension set at its lowest position. In addition to the maker's name, the base also refers to the toy's patent number (0293346), and "Alskog Design", after the toys' designer, Bjorn Alskog. 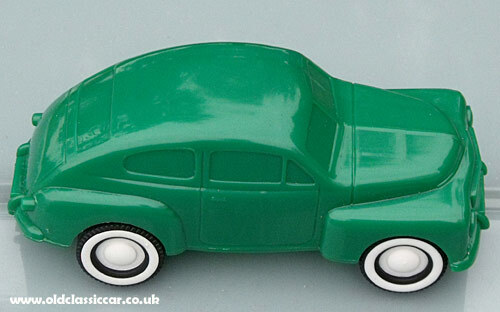 A number of different toy cars were produced, including Volvo Amazons, Beetles, plus pre- and post-war American classics also, in a variety of colours. 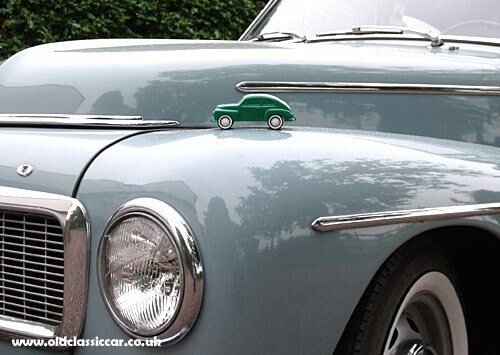 Although produced more recently than the real car, it seemed appropriate to include it here.